The headquarters of global Greengrants is located in Boulder (USA, Colorado). This town is remarkable in many ways. 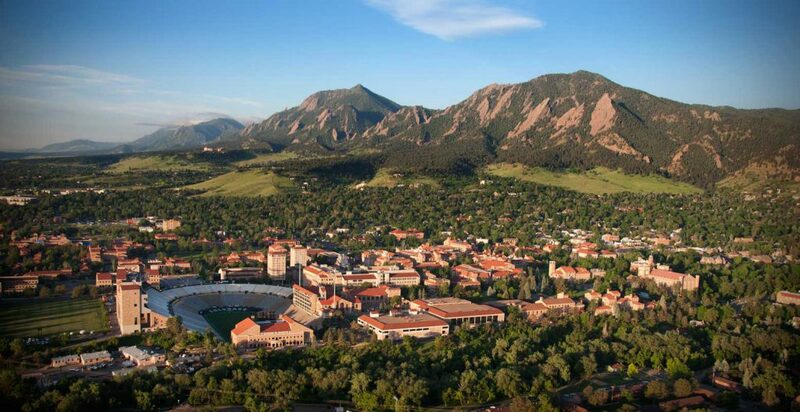 Here is located the largest school Colorado University, whose students makeup almost a third of residents. Over the years, the city lived and worked many representatives of world intellectual elite. For example, the famous physicist and science popularizer George Gamow more than 10 years he held a professorship at the University of Colorado. In 1975 In boulder settled Stephen King. Here was written one of his most famous novels – “the Shining”, the prototype of the scene of which was The Stanley hotel in Estes Park near boulder, where the writer stayed with his wife. You can even list a lot of famous people, laureates of prestigious awards, including the Nobel prize, relevant to the Boulder. Perhaps such a concentration of good brains determined intelligent and balanced urban development policy stressed the environmental standards of modern local life. Residents of the city to resist urbanization and to preserve the nature around, first in the USA (in 60-ies) imposed a tax on the extension of the area of the city. In addition were used such measures as the refusal to hold water for those wishing to live outside the city. Now the growth of the boulder stopped. Residents of boulder prefer organic food, most leads a VERY healthy lifestyle, good conditions this feature. The city is located in a picturesque place (Rocky Mountain, Rocky Mountains), surrounded by numerous parks with excellent facilities for runners and cyclists. Nearby are the world famous ski resorts of Aspen and Veil. A lot of places suitable for climbing, activities. Commitment to eco ideas is justified. In 2010 in the ranking of the USA Today newspaper, the boulder was voted the happiest city in the USA. To such conclusion came the authors of the rating of cities from research firm Gallup and Healthways company. Total rating included in a broader study on “Index of well-being” (Well-Being Index) is composed of 162 large and medium-sized cities, and urban agglomerations, assessed by several indicators, including an emotional, physical, and economic condition of the residents. What would happen if the city at the time and chose a different path? Surely, the city fathers did to build some production (like a chemical plant, which is now 30 miles from boulder on the way to the international airport in Denver), maybe even promised mountains of gold and a large income to the city Treasury. One of the most interesting and beautiful buildings in boulder is a teahouse, which many years ago was the parts taken from the sister city of Dushanbe. Surprisingly meet in the middle of a typical American landscape, this cute look is a masterpiece of Central Asian culture, try traditional Tajik meals.